2: Papaya Art | Weekly Planners, $24 $12 on sale! Happy new year! 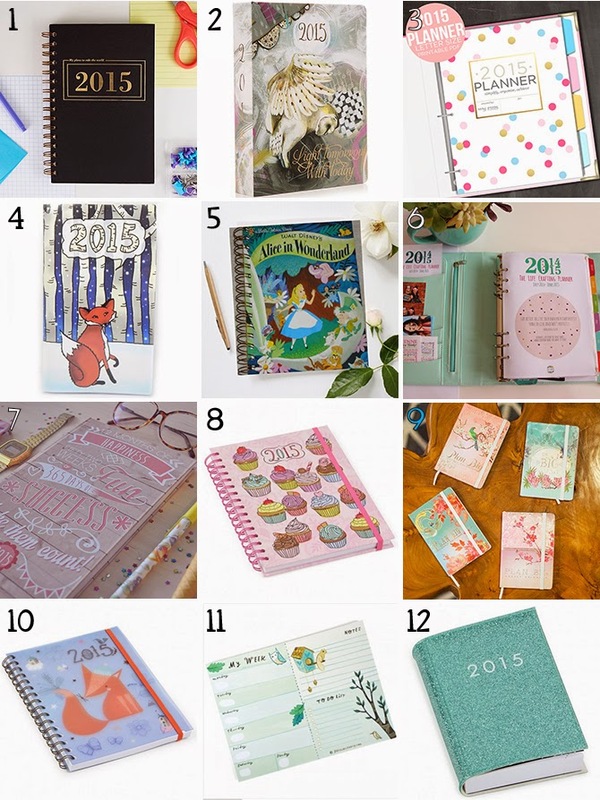 These planners all look fabulous, especially the one with cupcakes and the aqua glitter one. These are so pretty! My planner from last year was a two year planner but if not I would definitely get the one you're getting. I love the art in it. Ooo that's smart, though! You're super organized - bet that planner serves you really well! Oh man! Great picks. I really love the idea of a planner but I just don't think I have the motivation to actually use one. Thanks, Tara! I feel like with planners, it was either something I used and checked constantly... or something I never remembered to use at all. Guess it's just whatever you're used to! Oh yeah, that one's on the pricier side. SO pretty, though! Thanks so much for including me!! No problem! Your planner is gorgeous (and so are your photos)! The first one definitely looks like my style! I love keeping a detailed planner with me at all times, I even colour code different tasks between school, internship and blog with a highlighter. Unfortunately my current one was a free one I got from school and it's falling apart! I should buy a nice one ;) thanks for sharing this lovely list! YES color coding is the best! I should probably start doing that... :) Right now it's all in pencil until I'm more sure about the schedule!